I will never ask you to do anything that I wouldn’t do myself. In a genre filled with crimes, murders and endless plot twists, Nightcrawler does the same. Except it takes you out to the bigger picture and onto the macro lens of journalism. Helmed by Dan Gilroy in his debut feature and starring Jake Gyllenhaal, Nightcrawler achieves near perfection as a crime drama. As its title suggests, it is slow yet gripping, gradually creeping on the characters it focuses on. Jake Gyllenhaal plays Louis Bloom, an unemployed but highly determined young man with a strong desire to enter the field of journalism, or more specifically, news reporting. From the very start, Louis’ intent and character is solidified through Gyllenhaal’s strong performance and supported by Gilroy’s sturdy screenplay. Louis uses the radio to hear police reporting incidents real-time, drives to the scene and captures footage with a camcorder. With the “breaking news” in hand, he approaches news channels and negotiates to sell his footage. As he does this each time, he gets more experience in recording important scenes, and slowly increases his quota on the price of his footage. Riz Ahmed plays Rick, Louis’ assistant/sidekick. A slow worker at first, Riz is forced to keep up with the fast pace Louis works at, and the duo eventually learn to work together. Rene Russo plays Nina, the news director that likes the graphic content of Louis’ footage and pays him good money for it. Louis exploits this opportunity to befriend the newscasters and expand his network. For a directorial debut, Gilroy handles the film’s pacing and plot development exceptionally well. There is little room for dullness, and every moment leads to increased tension. In a film filled with dialogue, the humour is subtle and dark. It’s not outright amusing, but the way it is expressed calls for your attention. Nightcrawler digs into the workings of the television industry and what goes on in the studio. While this provides valuable insight into news reporting on TV, the film’s portrayal throws up doubts about its legitimacy. Nonetheless, it is the ensuing drama that is enjoyable to watch. Louis Bloom represents the modern day young adult that refuses to take no for an answer. He takes rejection lightly and moves on quickly, knowing there are more doors ahead. Gyllenhaal’s exemplary performance holds the film on its own. His intense determination gives no room for doubt, his character always certain to get what he asks for. Gilroy’s screenplay holds the film together with sharp, curt dialogue. The script reveals the desensitisation of emotions and the characters’ nonchalence about the severity of human lives, showing instead that the urgency to capture quality footage is paramount. Ironically, this keeps the film’s content rating in check and ensures that it is suitable for a general audience. 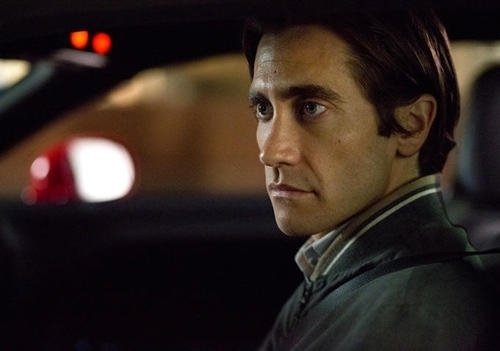 Nightcrawler is a true thriller that keeps you engaged throughout and lingers in your mind as an afterthought, as you wonder if what goes on behind the television screen is indeed as shown in the film. Nightcrawler is now showing in theatres.